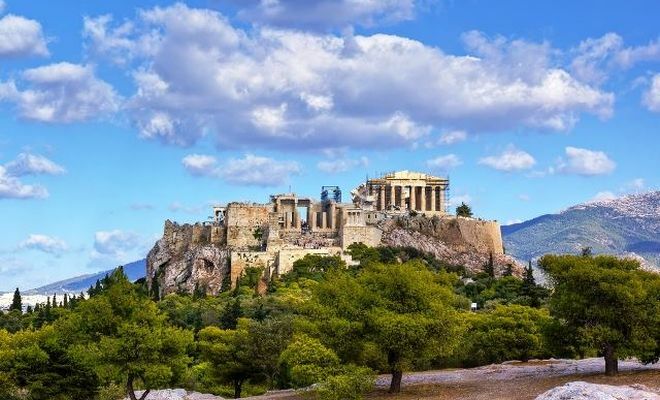 A 13day Greece island vacation package, that includes vibrant Athens and 3 beautiful Greek islands. 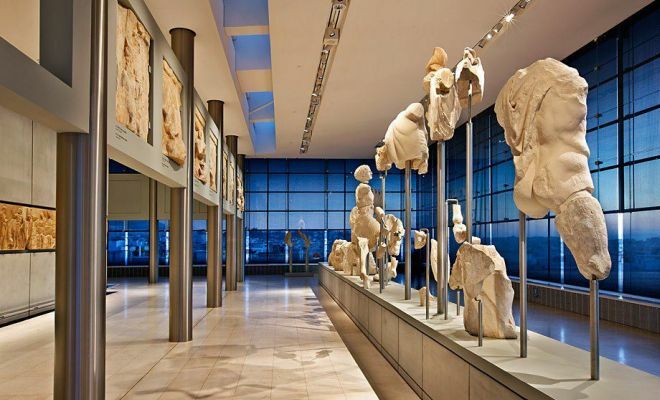 The ancient city of Athens is today a vibrant megalopolis with nonstop nightlife, creative cuisine, and sites both ancient and modern. 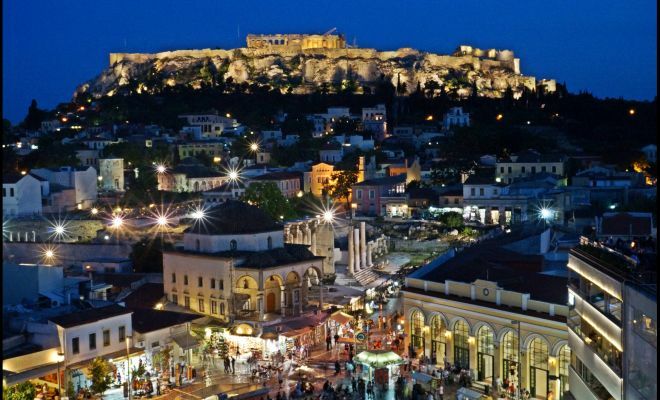 In the thousands of sidewalk cafés, courting teenagers, young professionals, and old men shuffling their worry beads all bask in Athens’s modern-day renaissance. 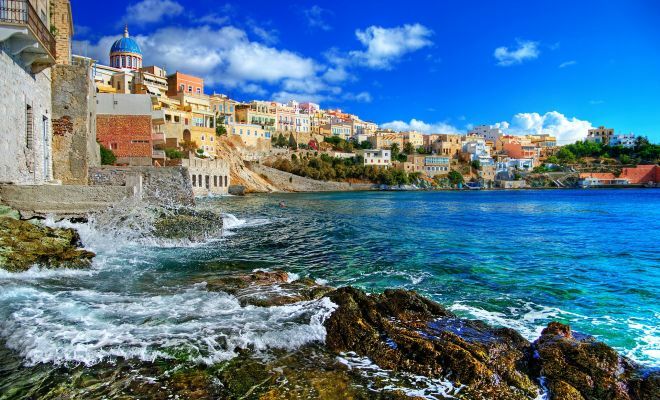 Syros island is an authentic merging of traditional and modern Greece. 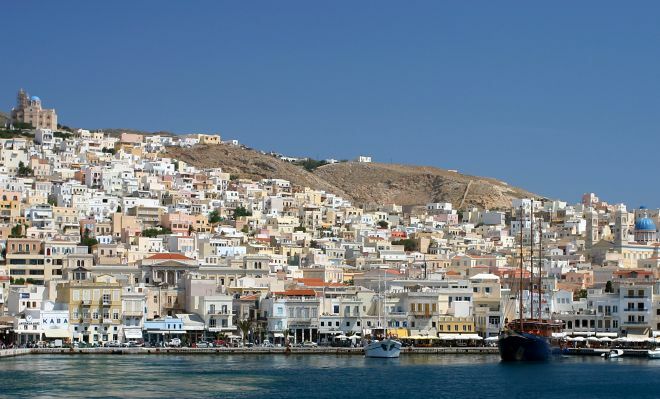 The port town of Ermoupoli is the handsomest of all Cycladic towns. Discover one of the most endearing islands in the Aegean, with several attractive beaches, great eating options and the best of everyday Greek island life. 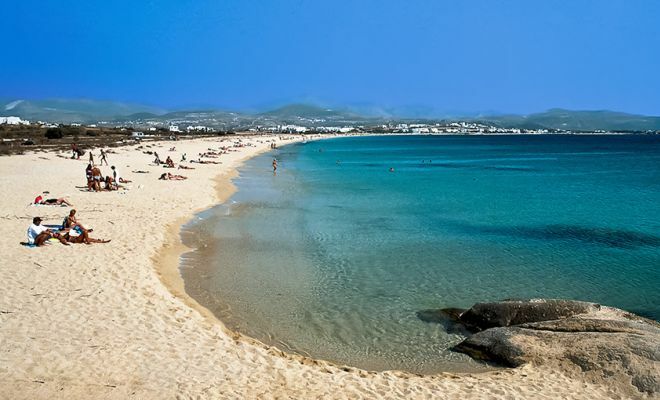 Naxos island with its charming mountain villages, superb beaches and endless Greek sunshine, it is easy to see why the island has become so popular. Santorini is the essence of a Greek island, where sea meets weather-beaten rock and colours are bold and elemental. Blue-domed chapels stand on hilltops, houses are simple white cubes, sunsets flamboyant orange. The half-moon island, with its rearing cliffs and dramatic outlooks, is all that remains of a huge volcanic explosion. Inland, fertile soils provide a softer landscape of silvery olive trees, fields of tomatoes and neatly pegged vineyards that produce sweet amber-colored wine. This Greece holiday package is fully flexible. It can start any day you prefer, and can be changed to fit your preferences. Upon your arrival, you will be met and transferred to your selected hotel. Balance of day at leisure. Early morning transfer to the port of Athens (Piraeus) to board the ferry to the island of Syros. Upon your arrival on the island, you will be met and transferred to your selected hotel. 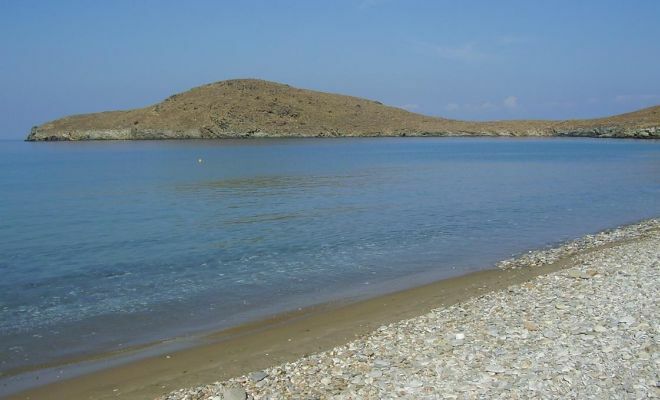 At the indicated time you will be transferred to the port for your ferry to Naxos island. Upon arrival you will be transferred to your hotel. Balance of day at leisure. At the indicated time you will be transferred to the port for your ferry to Santorini island. Upon arrival you will be transferred to your hotel. Balance of day at leisure. Santorini is a unique island located in the dreamy southern Cyclades. Locals believe the island is the site of the lost city of Atlantis. 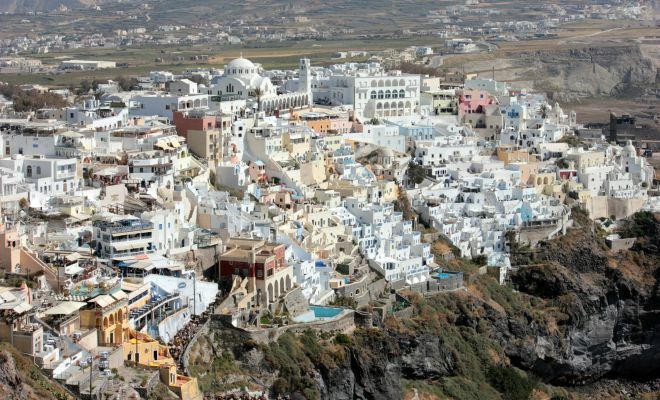 White sugar-cube buildings dangle off the soaring Caldera cliffs with pops of royal blue peeking out from the domed churches. In the middle is the steamy caldera, the island’s volcano sunken below after one of the largest eruptions in human history. Enjoy the sensational sunsets, the fascinating excavations, the iconic black and red beaches, and the dazzling white towns. 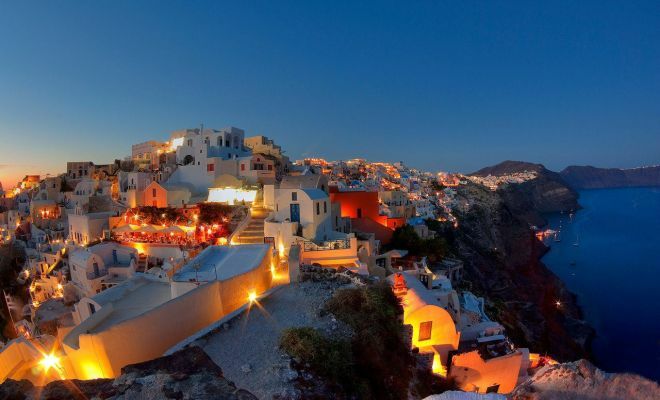 The majestic scene is bathed in the most magical light; it’s this pure, perfect light that makes Greece so beautiful.